OLHSA Walk for Warmth 2019 info for the annual events that take place in Oakland County and Livingston as a benefit to raise money for OLHSA this winter as they will raise money to keep the heat on in homes owned by families who are struggling to pay the bills. Walk for Warmth 2019 will take place at Great Lakes Crossing Outlets in Auburn Hills on Saturday, February 9, 2019 and Saturday, February 23, 2019 at Hartland Educational Support Service Center in Howell. What better way to spend a snowy Saturday morning in February than getting together with friends and neighbors and walking for a great cause? In its 30th year, OLHSA, A Community Action Agency, is hosting the event. 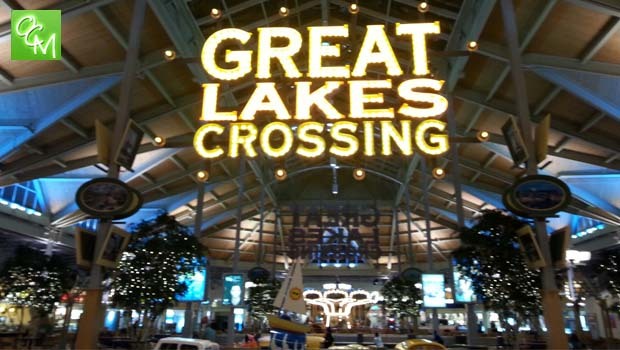 Takes place on February 9, 2019 at Great Lakes Crossing. 7:30a registration, 8:30a walk. This fun-filled family event helps our neighbors stay safe and warm from heat related emergencies. Family entertainment includes bands, face painting, balloon animals, and pictures with mascots. Proceeds benefit children and adults of all ages with non-profit emergency services provided by OLHSA. Enter at Bass Pro Shops. Takes place Saturday, February 23, 2019 at Hartland Educational Support Service Center in Howell. 8:30a registration, 9a walk. Preregistration for both events is now open. Visit www.olhsa.org/walk4warmth to register, become a sponsor, or learn more. As always 100 percent of the proceeds from both Walk for Warmth events will go towards keeping the heat on in the homes of Oakland and Livingston County residents throughout our harsh Michigan winters. In the face of a persistent economic downturn, hundreds of local families will benefit from Walk for Warmth. By donating or raising just $300, you will keep the heat on in a home for an entire month, helping children stay healthy, learn better in school, and helping the whole family stay safe and warm. Last year OLHSA’s Walk for Warmth (2017) events raised a total of $172,000. This year OLHSA hopes to exceed that amount. OLHSA is a Community Action Agency improving the quality of life for people facing crisis while strengthening families, communities, seniors and youth since 1964. Over 187,000 services were provided in 2013 in the pursuit of helping people and changing lives. To donate, sponsor, register to walk, request a presenter, or for all Walk for Warmth 2019 details, please visit the OLHSA website.